Entertainment For Your Blue & Gold Banquet That Is Amazing, Interactive, And Fun – Guaranteed! 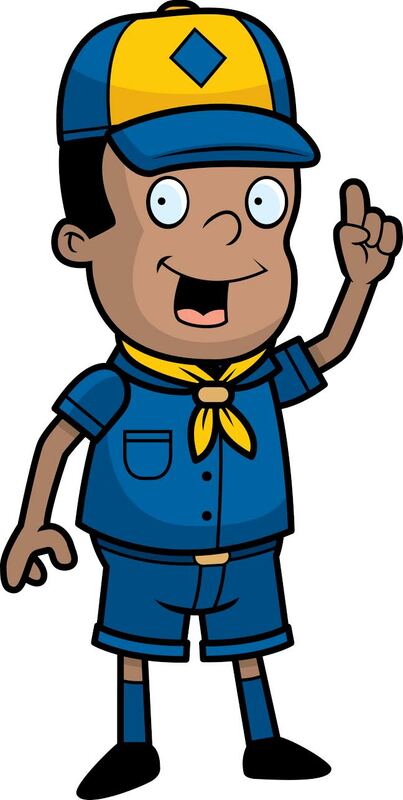 I was a Scout growing up – it was so much fun! I felt such a sense of accomplishment earning my badges, participating in the Pinewood Derby, and so many other fun events! As an adult and a full-time magician, I love being able to visit Blue & Gold Banquets and interact with today’s Scouts. 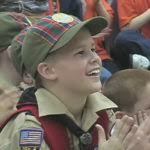 Because I was a Scout, I understand the mindset of boys at this age. As a result, my magic act is designed to captivate boys (and their families) in ways they enjoy. In other words, no silly puppets or magic for little kids that Scouts will not enjoy. 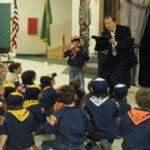 I offer an amazing series of Scout-themed magic shows and programs designed to perfectly complement your upcoming Scout event. A little about me – for the past 20+ years, I’ve presented fun and entertaining educational school assembly programs, library programs, and Blue & Gold banquet entertainment to clients all across North America. Using a combination of music, magic, age-appropriate humor and interactive fun, I guarantee your Scouts (and their families) will be captivated from beginning to end! My squeaky clean, age-appropriate humor and amazing magic skills help keep audiences of all ages focused on my fun show. All of my programs use a ton of audience participation to get as many volunteers involved as possible and I will even have several kids join me on stage. Because I’m not famous, I know I have to earn your trust so therefore I offer a “Better-Than- Money-Back- Guarantee,” meaning if you are unhappy with the show for any reason, you’ll receive a full refund PLUS $500 donated to your Scout treasury…and in nearly 20 years of professional work all across North America, no one has ever taken me up on my guarantee! What will your guests see & experience? The entire audience will see a volunteer’s head shrink & grow right before their eyes! I try to replicate a classic Harry Houdini escape and fail…with hilarious results! This program is longer, 45-50 minutes, with several LARGER effects and routines. This package is perfect for events where there is more time for the entertainment AND when here is a raised stage. With a raised stage or auditorium-type of arrangement, I can present a more elaborate show. Set time is still fast, about 30 minutes, but is more elaborate, more opportunities for volunteers, and designed to bring a BIG show feel to your event! One volunteer will FLOAT IN THE AIR! Someone from the audience will choose WHAT KIND OF LIVE ANIMAL MAGICALLY APPEARS! I understand the ebb and flow of Blue & Gold banquets. Therefore, I know that one of the most restless times at these banquets is the start of dinner time – each table is called up individually to go through the buffet line. What this means is several times are waiting for what feels like forever to them. As a service to you to make this time go by a little easier, I can entertain guests at tables with close-up magic while they are waiting. This service is available at a discount to you when added to either of the above packages. Several $1 bills instantly change to $20 bills! A BORROWED $1 turns “inside out,” and back again! A selected and signed card LEVITATES! 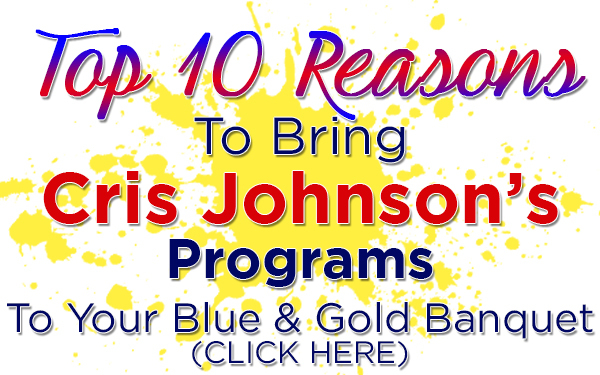 Bring this one-of-a-kind program to Blue & Gold Banquet! Call me at (716) 940-8963 (that’s my cell phone) or email me at cris@elementaryschoolassemblies.com to get more information!